Short-term stress response (also called flight-or-flight) is regulated by sympathetic nervous systems, while the HPA axis manages our long-term stress response. How can we affect these systems to better manage our stress? Read on to find out! Salidroside is the phytochemical thought to be one of the compounds responsible for the antidepressant and anxiolytic effects of Rhodiola rosea, along with rosavin. Rhodiola rosea can be found as an alcohol or water extract. Its optimal dose is 288-680 mg/day. Rhodiola lowers cortisol and adrenaline and is meant to be used in the long-term to help cope with stress. It also increases acetylcholine in the limbic system to help deal with emotions, noradrenaline in the cerebral cortex and limbic system to improve memory, serononin in the cerebral cortex and limbic system to make you feel good, and dopamine in the limbic system to boost motivation. Ashwagandha can be found as powder or water extract. Its main active ingredients are Withaferin- A, Withanolide A, and Withanone. It is recommended to take 500-2000 mg 3 times per day. This adaptogenic herb has been extensively studied in over 300 clinical studies. Ashwagandha lowers cortisol and increases testosterone, boosts acetylcholine and GABA, has an antidepressant effect by stimulating serotonin 5-HT2 receptors and inhibiting 5-HT1 receptors. It also decreases glutamate, an excitatory neurotransmitter. Reishi is one of the better known medicinal mushrooms and is considered to “open your heart.” It has many neurological effects and no significant hormonal effects. Its optimal dose is 500-1800 mg of the water extract or 6 mg of the alcohol extract 3 times/day. The water extract has a higher concentration of polysaccharides, while the alcohol extract has more triterpenoids. Reishi stimulates neurogenesis (growth of new neurons in the brain), protects existing neuronal cells, and promotes relaxation. It also reduces fatigue and anxiety, and balances caffeine effects. Schisandra’s main active ingredients are Schisandrin A, B and C, and it can be found as water, alcohol, or glycerol extract. Its optimal dose is between 1000-2000 mg or 20-30 drops. Schisandra lowers cortisol after exercise, increases acetylcholine, memory consolidation, and heat-stress tolerance, and reduces anxiety. Phosphatidylserine is a fat found mainly in the cell membranes of our body, but most concentrated in brain tissue. When supplemented, it lowers cortisol after exercise, raises testosterone, improves working memory, and boosts mood and cognition. The recommended dosage is 600-800 mg after exercise or 100-150 mg 3 times/day for regular use. L-theanine is an amino acid mainly found in green tea. It increases alpha brain waves producing a relaxed and calm (even meditative) state of mind. It also lowers cortisol and glutamate, increases GABA (shown in rats), lowers anxiety, stress and heart rate, increases nitric oxide (NO) and blood flow. It is the perfect match for coffee. It is recommended 200 mg 1-3 times/day for regular use and 400 mg for maximal relaxation. Tyrosine is one of the amino acids that our body uses to produce proteins. It is also a building block for dopamine (tyrosine > dopa > dopamine > noradrenaline > adrenaline). When supplemented, L-tyrosine is the number one hack for boosting dopamine. However, too much L-tyrosine can increase adrenaline and its effects. For regular use, it is recommended at 500-100mg 1-2 times/day and 2000 mg for maximal effects. It increases dopamine and noradrenaline, improves neuroprotection, lowers acute and chronic stress, lowers heart rate, and improves working memory, cognition, and general wellbeing. L-taurine is an organic acid, similar to amino acids but it is not an essential building block of proteins. L-taurine has other important roles such as digestion, oxidation, and heart function among others. When supplemented, L-taurine increases GABA, glycine, and BDNF, improves neuroprotection, stimulates the growth of new brain cells, protects the retina, mitochondria, and testicles from oxidative stress, increases angiogenesis and fat oxidation, and lowers depression and anxiety. It is recommended at 500-1000 mg for regular use or 2000 mg before sleep for maximal effects. Practical tips: When should we take these supplements? Watch rest of the presentations in the Biohacker Summit 2018 Stockholm video recording bundle here. 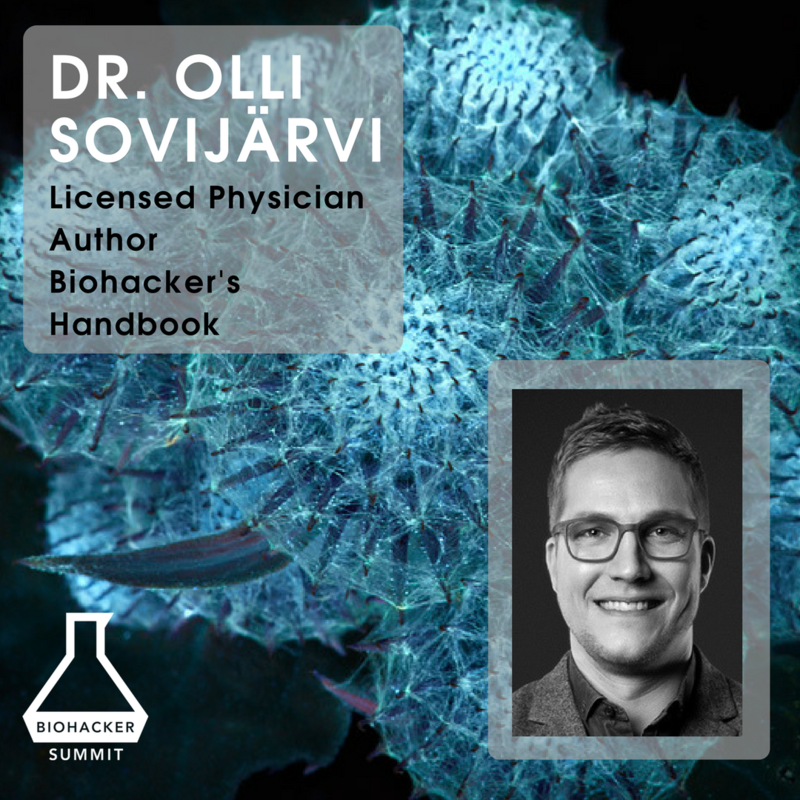 Dr. Olli Sovijärvi will also be speaking at Biohacker Summit 2018 Toronto in October 2018.